Home Wordpress WordPress Vs HTML: Which is Suitable for Business? I think many of the user have the same doubt about which website platforms is best WordPress Vs Html. Each one has advantages and disadvantages. WordPress is the one of the platforms that used in 25% of the site in the World and also static HTML used in most of the site. In this post, we will see which platform is best WordPress vs HTML for our business sites. What is Mean By WordPress? WordPress is the open source CMS platform which is one of the top content management systems in the world. WordPress have a community of developers around the world. If you have any doubt about WordPress CMS, you can post your queries on the WordPress forum https://wordpress.org/support/ they will quickly reply to you. You can download WordPress software from WordPress.org, on the other hand, you can create free hosted blog on WordPress.com. The WordPress have the many advantages compared to static HTML sites. You can quickly create a simple website with simple clicks, and also, WordPress allows new features continuously through the update, you can update WP with the comfort of your WordPress dashboard. Liquidweb offers Managed WordPress hosting you don’t need to feel about WordPress configurations now. LwebCoupons offers Liquidweb Coupon on the home page. WordPress have free and premium templates you can install free templates from your WordPress dashboard. You can also buy third party templates from their sites. When you choose premium templates, select themes based on your industry type because that will convert more customers for you. In WordPress plugins are the most important part of your website because it will add more functions on your site. For example, you want Social Media share button for your WP site then go to your WordPress dashboard – >plugins and search to find social media plugin and install it. With simple effort, you added social media share feature on your site. Maintenance – You need to update your themes and plugin for your site whenever they release a new update, and also you should need to backup your site continuously. There are free and premium backup plugins available you can use it. WordPress have some disadvantages too if you are a beginner you need to learn a lot of things about WordPress it takes some amount of time. You can find WordPress help topics in WordPress.Org. What is mean by Static Website? At present most of the small and big sites are run through Static HTML. Let’s see about Static HTML advantages and disadvantages now. You don’t need to maintain your site or backup continuously because once updated they do not need updates. And HTML sites not resource intensive; it loads faster than normal WordPress site. It also not require PHP and MySQL. If you want new features for your site, you need a developer to add those features. The cost for the development process is high for HTML because you create a new function from scratch. But in WordPress have free plugins for it. If your website is simple, that needs no update for years then you can choose HTML as a development platform. If you concerned about your website growth and future; also, you think about designing cost then you will select WordPress platform. 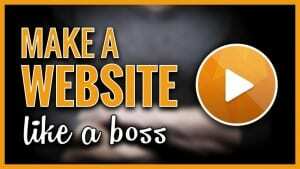 Because you will create sites with a small investment on WordPress platform. You learned lot things from this post If you have doubts about WordPress Vs HTML, If you have any doubt, please reply to me I will help you.